Dresses are amazing, one piece of garment and you are all dressed up, what's better than that? 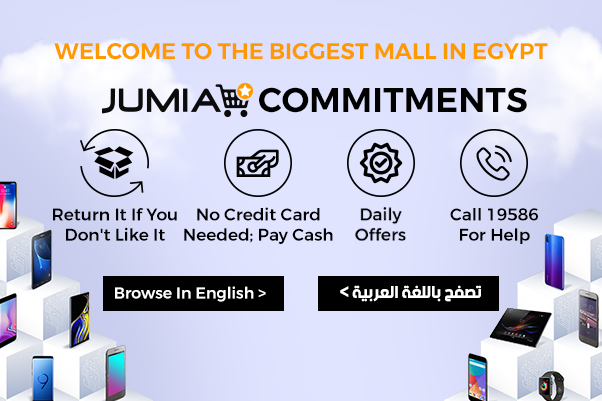 At Jumia Egypt, we have a carefully selected collection of trendy dresses, blouses and clothes for each occasion from official dresses to casual and even beach dresses. You will find such dresses as shirt dress to off the shoulder dress. They also come in different colors including solid colors like a red dress or black dress, florals and even striped. Discover Dresses and Clothes Collection on Jumia Egypt? Jumia Egypt has a variety of girl’s dresses including Casual Dresses which include everything from cotton dresses, Print dresses, floral dresses and sleeveless dresses among others. The Maxi Dresses which has a variety of trendy maxi dresses including patterned slip on maxi dress, off shoulder maxi dress not forgetting the jumpsuit skirts plus soiree dress. The Jumia dresses collection also include the Evening Dresses for those special occasions they come in all sizes. Other collections include T-shirt, shirt and knit dresses and short Dresses. Jumai Egypt dress collection is huge. Choose from the best brands including Sunshine, Elikang, Forever21, Zaful, Sunweb, Charlotte Russe, Zanzea, Kenancy, Dressfo, among others. Whatever kind of dresses you are looking for be it a black dress, long dresses, evening dresses, long sleeve dress, day dress, night dress, summer dresses, casual dresses or formal dresses, rest assured that you will find it. Shop online on our complete clothes collection.